Touring Europe in recent years, Boston-based saxophonist Jerry Bergonzi joined a trio led by Danish pianist Carl Winther, with bassist Johnny Aman and drummer Anders Mogensen. 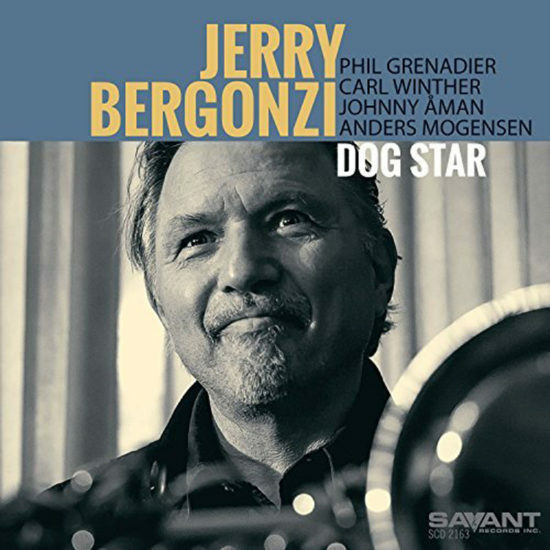 On his latest studio date, Dog Star, Bergonzi’s burnished tenor tone and thoughtful, exploratory approaches to playing, composing and arranging make a natural pairing with Winther’s band and trumpeter Phil Grenadier, a fellow Bostonite and regular associate. Bergonzi’s rich, resonant Coltrane-esque sound is writ large throughout the album, and it’s a pure pleasure hearing him wrap his horn around the pretty phrases and extended improvisation of the luxuriantly slow-moving ballad “Live Stream,” one of the leader’s six tunes on the disc. 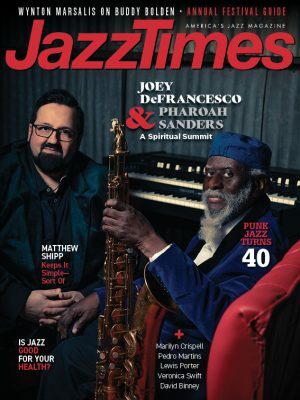 For the title track, riding another laidback tempo, Bergonzi and Grenadier ally for a unison reading of the twisty, unpredictable head before taking off on solos. The trumpeter, as elsewhere, pushes the enterprise forward with long streams of conversational statements, climbing and falling, doubling back and providing harmonic surprises. On the opening “Pleiades,” its title another astronomical reference, the horn men turn in another zigzagging unison theme. The nearly 10-minute composition allows for an impressive expedition by Winther, and closes with simultaneous soloing by the saxophonist and trumpeter. The program offers contrast, too. On the moody “Repore-Pa-Int,” Bergonzi’s solo crescendos and then retreats, while the minor-toned “Separated” feels streaked with poignancy, gaining from Aman’s rangy bass exploration. The brushes-flickering “Darf” makes superb use of open spaces, and Grenadier turns in the zippy “Vertigo” and floating, swirling “Darkness.” This quintet’s debut recording is engrossing, sometimes entrancing and fully deserving of a sequel. Preview, buy or download songs from the album Dog Star by Jerry Bergonzi on iTunes.